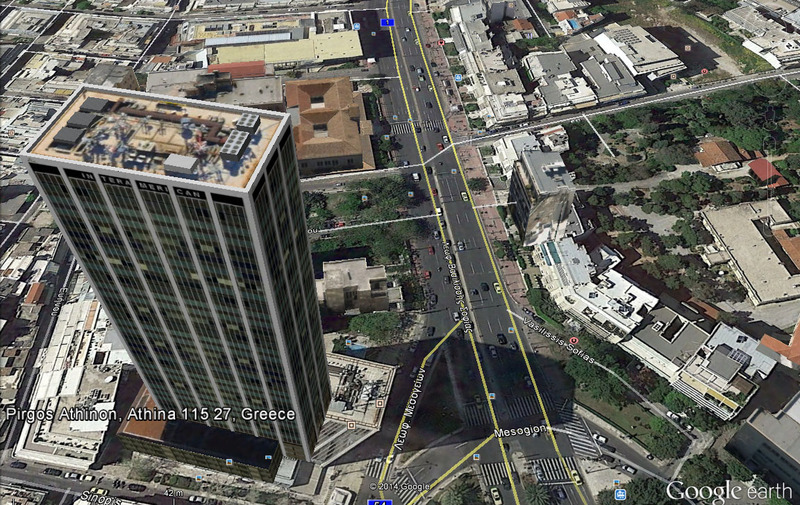 Athens Tower is the tallest building in Greece. It is 103 m tall. Construction started in 1968 and was completed in 1971. At the time of its completion it was the tallest building in the Balkans. It is one of the two towers of the Athens Towers Complex. It has 28 floors. It is located in the district of Ampelokipi on 2 Messogeion Avenue. It is used by many companies such as Interamerican and Alpha Bank. The architect of Athens Tower is Ioannis Vikelas, who also designed the main building of the Goulandris Museum of Cycladic Art.